So you fancy a night out in London? You want to see a show, dip your toe in the world of London Burlesque clubs. 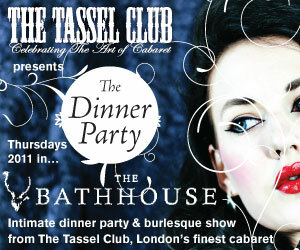 You want fine dining and some (strong) delicious cocktails…..See for yourself exactly what you can expect from our deluxe Tassel Club Dinner Party event in The Bathhouse.